Glenn's interest in amateur radio started as a youngster listening to his grandfather's short-wave radio. He was licensed at age 15 and within three months had contacted all 50 states with a homemade crystal transmitter. He has always been interested in contesting and working DX. He has several first-place world scores and holds several records in international competition. He has achieved #1 Honor Roll, 5BDXCC and 5BWAZ awards. He has seven First Place World scores with QRP in the ARRL 160M Contest. He has led three major DXpeditions to four Top Ten Most Wanted areas (Kingdom of Bhutan (2000), Lakshadweep (2007)), Desecheo (2009), and Navassa (2015)) all of which were awarded DXpedition of the Year. He was also a team member of the HK0NA Malpelo (2012) and the K5P Palmyra (2016) DXpeditions. Glenn has been inducted into the CQ Magazine Amateur Radio Hall of Fame and the DX Hall of Fame. His wife and four children are all licensed hams and have competed in ham radio contesting from their home. They have traveled to many countries, some quite remote, for contest activities. He and his wife have home-schooled their four children. 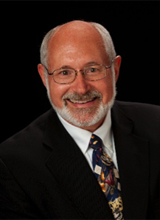 Glenn has been a practicing orthopedic surgeon for 40 years. He is currently works for the Mayo Clinic Health System in Minnesota and Iowa. His specialty is Adult Reconstruction and he has developed a highly-regarded practice specializing in outpatient partial knee replacement surgery and anterior hip replacement surgery. His other area of interest is teaching orthopedic surgery in third world countries. He is a member of Orthopedics Overseas. He has spent a lot of time at a crippled children's hospital in Bethlehem, Israel, and has had four tours of duty in The Kingdom of Bhutan in the Himalayan Mountains. In addition to teaching medicine he also brought amateur radio into Bhutan. He taught the first group of hams licensed in the country and in later years helped establish club stations in several high schools throughout the country. For this work he received the prestigious 2004 ARRL Humanitarian of the Year Award. He is returning to Bhutan to work in 2018. Glenn has an undergraduate degree in Forestry and Ecology. He has operated amateur radio from many environmentally fragile areas from the Arctic to Antarctica and many places between. Glenn has many other interests including gunsmithing, beekeeping, wood working and building furniture, draft horses and carriage driving and flying both airplanes and helicopters. He is also very active in local community affairs and in his local church.